She’s breaking up! She’s breaking up! 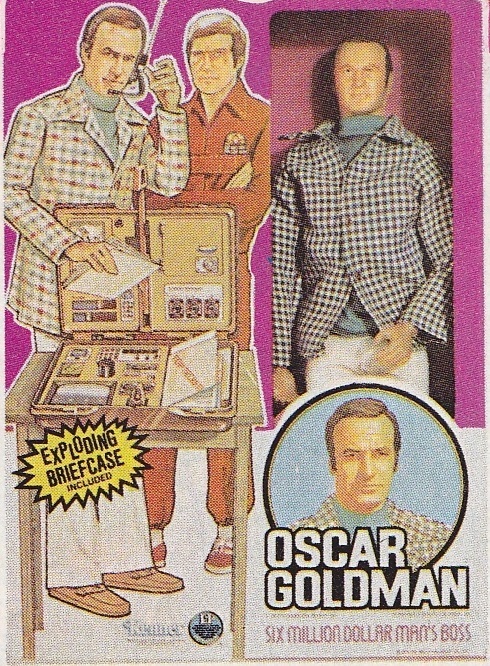 … so went the opening lines from the Six Million Dollar man TV series. 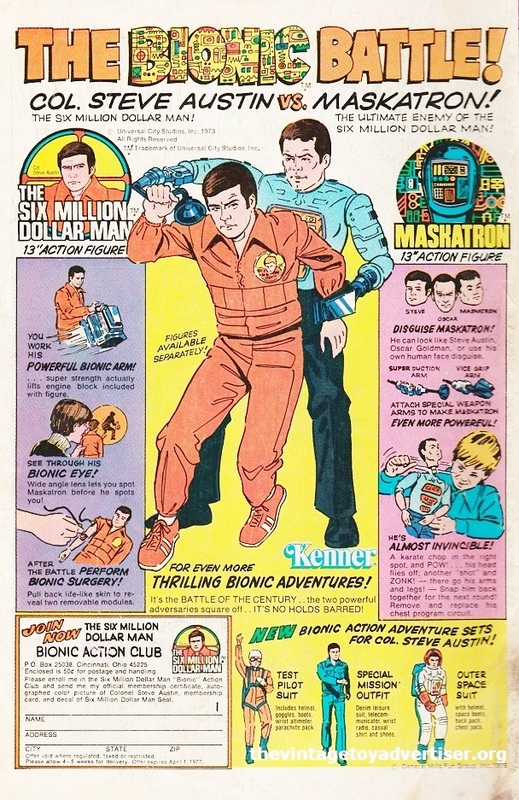 Produced by Kenner in the US in 1975, The ‘Colonel Steve Austin’ 13 inch action doll complete with bionic eye and removable bionic modules was based on the popular TV show character starring Lee Majors. 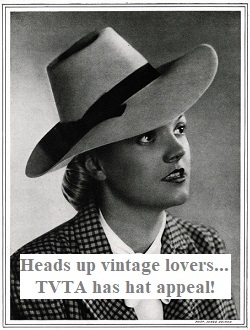 The doll became an instant toy hit around the world. 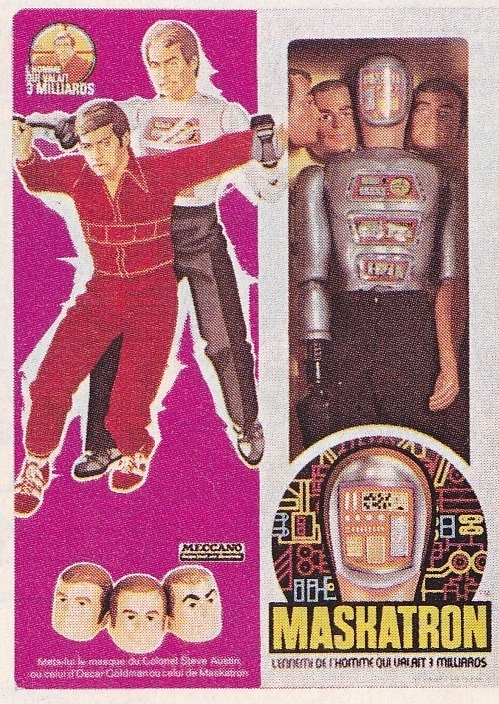 Additional figures were introduced to the line including a popular Jaime Sommers doll – the Bionic Woman (for which a separate TV series was made). 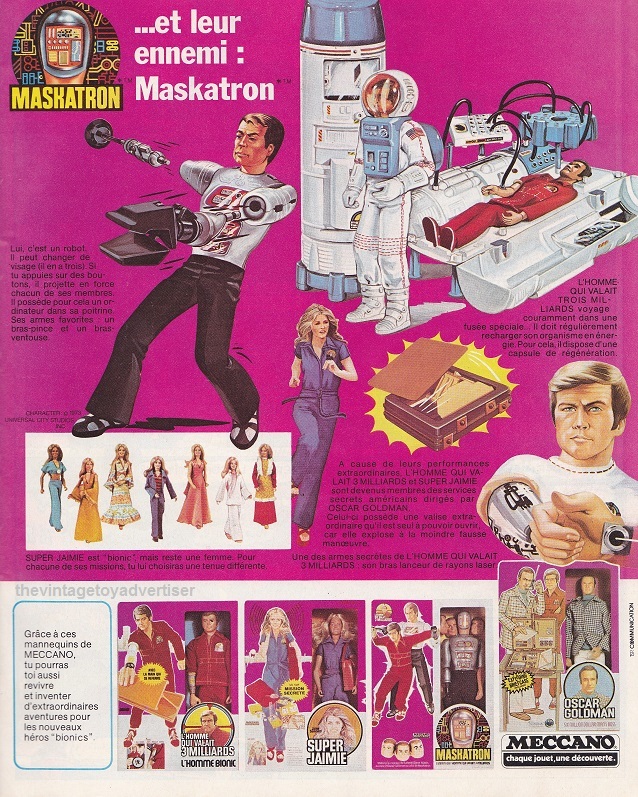 Other characters included Oscar Goldman, Maskatron, Fembot, and a Bionic Bigfoot figure. Clothing, accessories and playsets were also available. 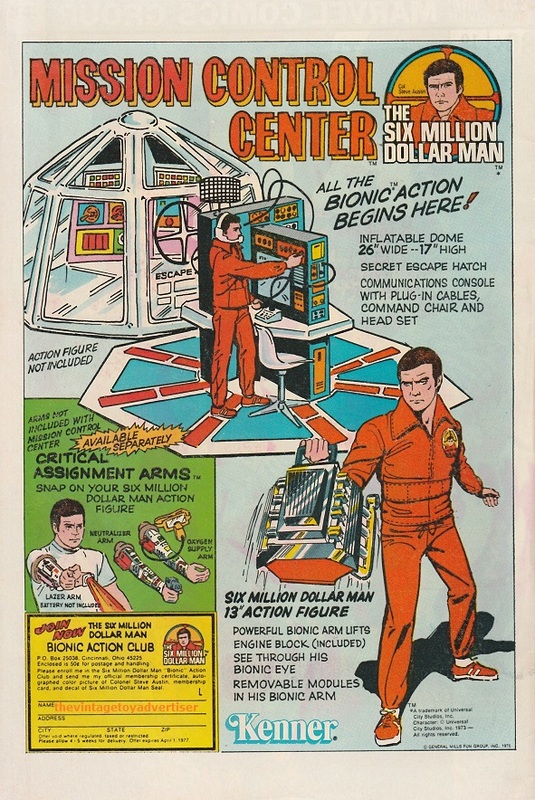 Six Million Dollar Man. France. 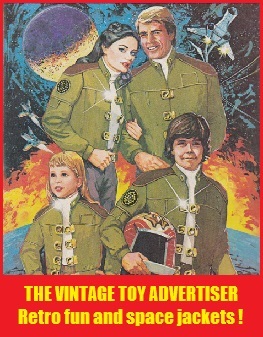 1977. 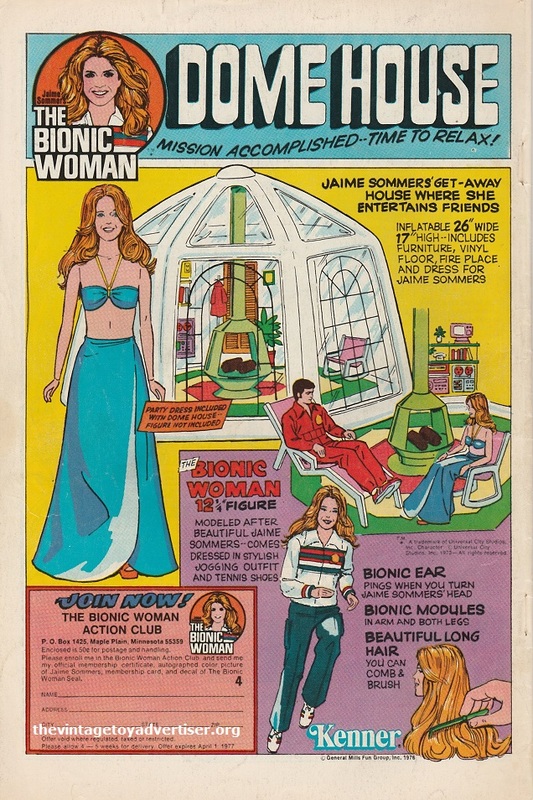 Bionic woman. 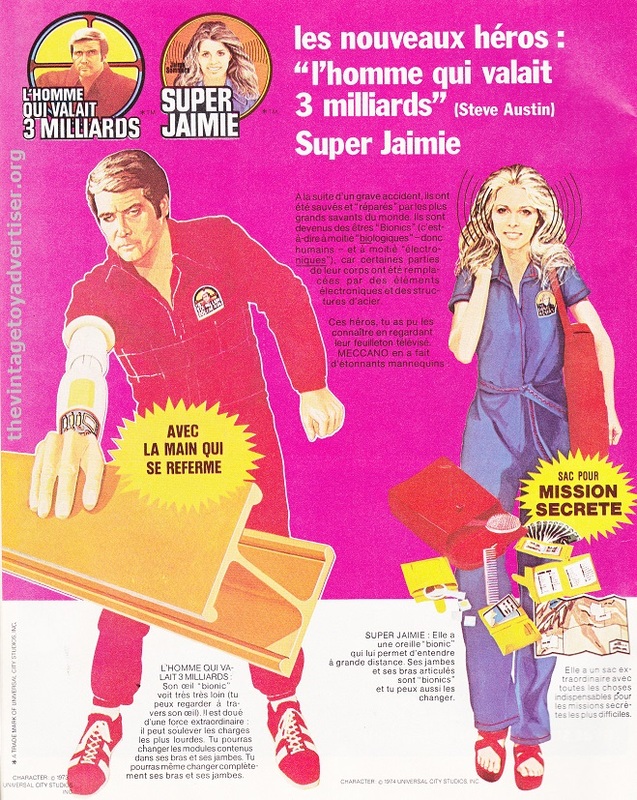 Télé Junior advert. France. 1980. 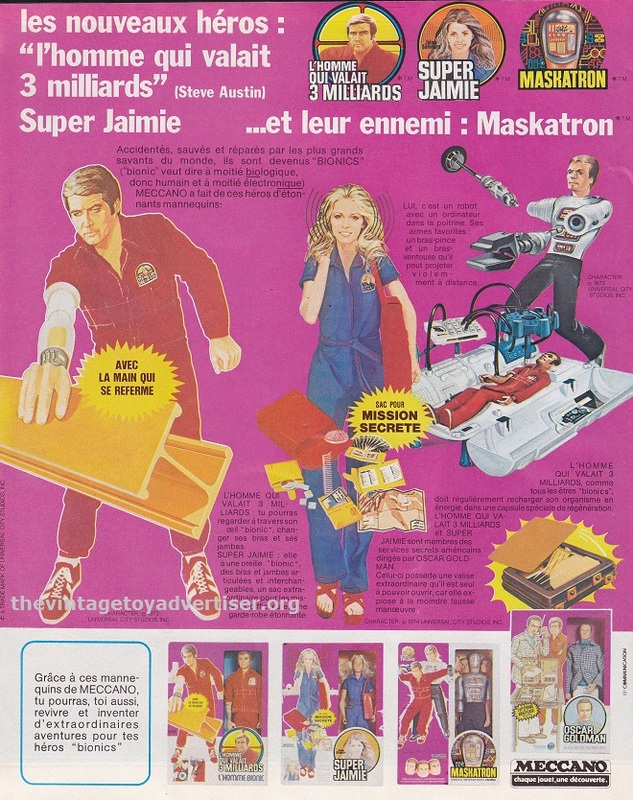 This entry was posted in BIONIC MAN / WOMAN, SIX MILLION DOLLAR MAN / WOMAN and tagged 1970s toys, 1980s toys, Bionic Man toy adverts 70s, Bionic Man toys, Bionic Woman toys, Jaime Sommers doll, Kenner, l'homme qui valait 3 milliards, Maskatron toy, Meccano, nostalgia, Six Million Dollar Man toys, steve austin, Steve Austin toy, Super Jaimie doll, The Bionic Man Kenner, The Six Million Dollar Man, TV toys, vintage toy advertisements, vintage toys on August 21, 2017 by The Vintage Toy Advertiser.